A comprehensive and up to date book covering the law and practice of party walls and the Party Wall Etc. Act 1996. Nick Isaac, barrister, of Tanfield Chambers in London, is a barrister with over 20 years’ experience in property law. He is widely recognised as a leading expert in party wall matters, appears regularly in court in party wall appeals and injunction applications, and advises solicitors, surveyors and lay clients alike. He has also appeared in two of the very few party wall cases heard in the Court of Appeal. Nick also regularly lectures on party wall issues to solicitors and surveyors, including to the Pyramus and Thisbe club – a club primarily for party wall surveyors – and the Faculty of Party Wall Surveyors. 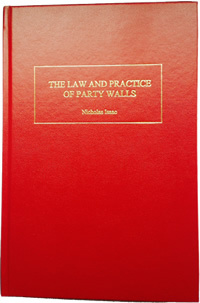 In this book, Nick sets out clearly and comprehensively the law relating to party walls, and how that law is applied in practice. 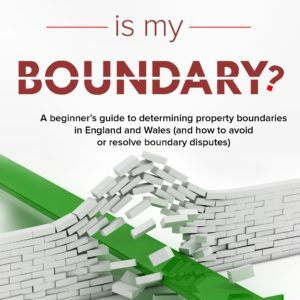 While written primarily for the benefit of surveyors and solicitors, the book is also intended to be sufficiently approachable that it will inform anyone faced with serving or receiving a notice under the Act, and the procedure which follows on from such notices.